Say hello to the New Year, much like the old year. Oh, there will be an election campaign this year making 2019 different from 2018. But in so many ways this year will seem like déjà vu. Same issues: pipelines, pipelines, pipelines — with a smattering of carbon tax, the economy, NDP "incompetence," and UCP "intolerance." And, of course, election-timing speculation. That one might sound ridiculous when you consider Premier Rachel Notley has promised to stick with the provincial law that stipulates the election date must fall sometime from March 1 to May 31. There doesn't' seem much to speculate about, but that will never stop the speculation. For example, when Notley suggested last month she might not hold a spring sitting or introduce a provincial budget, every pointy-headed pundit began thinking the premier might call an election for early March rather than the much-previously-talked about May. But now the speculation metronome is swinging back towards May-ish. 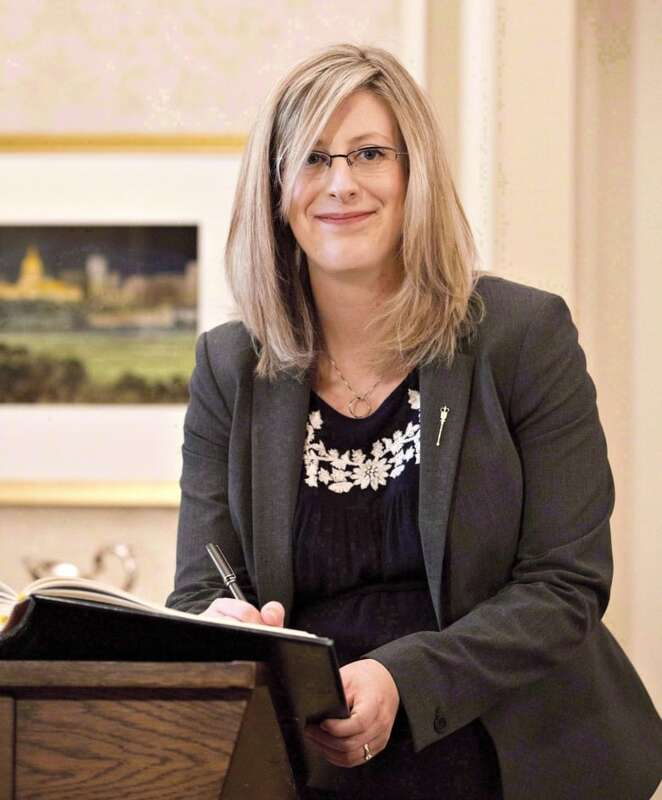 That's thanks to an odd Facebook statement from Notley posted Jan. 2: "We have received notice that MLA Stephanie McLean has resigned from her position as an elected member of the Legislative Assembly of Alberta." It's odd because McLean had said last May she would not be running in the 2019 provincial election. Why the need to formally resign her seat now? It might simply be that McLean had wanted to quit her seat last May but was talked out of it by Notley who didn't want to be forced to call another by-election that the NDP would likely lose. Now McLean can resign without fear of triggering a by-election because we have a general election on the way. But, again, why bother to resign the seat so close to the election? This oddity might be evidence that Notley will hold some sort of spring sitting of the legislature after all. Keep in mind McLean didn't attend the fall sitting of the legislature. She said vaguely she was taking a leave of absence. If Notley held a spring sitting and McLean decided to sit it out again, the premier would be under pressure to explain why one of her MLAs refuses to sit in the assembly. In these pre-election days, Notley needs as few distractions as possible. Now Notley can simply say McLean has resigned — end of issue. Notley no doubt wishes all her nettlesome issues could be resolved so easily. There's one coming up in February — the 15th to be precise. That's when a group of truckers plan to take part in a huge convoy, setting out from Red Deer with the goal of reaching Parliament Hill for a pro-pipeline rally Feb. 20. Organizers are hoping hundreds, perhaps thousands, of truckers will take part, much like the Nisku truck protest on Dec. 19 that attracted 2,000 trucks and stretched 22-kilometres. The truck protests, though, are a thorny problem for Notley. They're not just pro-pipeline rallies but anti-carbon-tax protests. They're not exactly non-partisan either, with organizers of the Ottawa-bound protest saying their goal is to "show the Liberals that we are tired of what's happening to our country and the mess they've put it in." These are pretty much pre-election rally events tailor-made for the Conservatives as national party leader Andrew Scheer proved by turning up to the Nisku event. 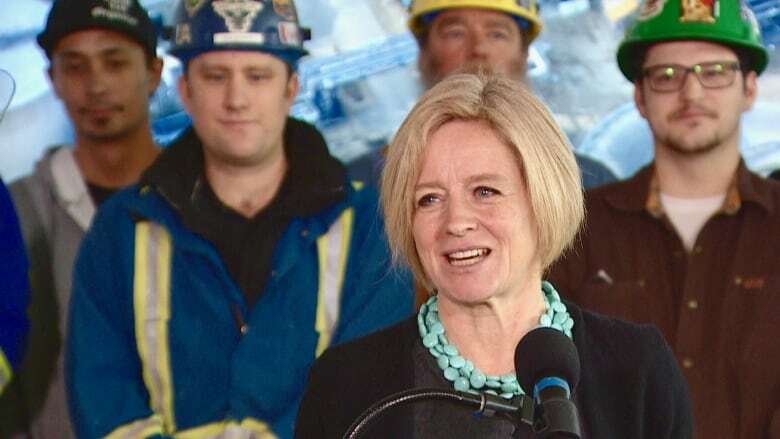 The most Notley can do is profess her sympathy for oilfield workers hit by the provincial recession and offer her support for the Trans Mountain pipeline expansion project. Alberta government officials also point out Notley won't go near the rallies because they are attracting "yellow-vest" protestors. The yellow vests might be a hit in France but they seem to have more than their share of anti-immigration bigots here. You have to wonder if the possibility of a massive cross-Canada truck rally, with all its troublesome issues for Notley, might affect her election timing. If Notley were to kick off a campaign in early February (for an early March election), the rally would occur smack dab in the middle of the campaign. It is perhaps another sign the election won't be coming as early as pundits thought just a few weeks ago. But when it comes to figuring out Notley's plans, we're really only guessing. Say hello to 2019, much like 2018. You can find columnist Graham Thomson's thoughts and analysis on provincial politics every Friday at cbc.ca/edmonton, on CBC Edmonton Television News and during Radio Active on CBC Radio One (93.9FM/740AM).